NOW BOOKING my April 10 group trip! As promised, here are the revised prices for my JennicaCuba group trip to Marea del Portillo, Cuba. We will leave from Toronto on April 10 and you can return either before or after Easter, which is on April 21 this year. We'll have our usual private "Welcome Dinner" at the resort, complete with special music, of course. We'll also have an exclusive excursion to a nearby village for a "Cuban Fiesta" that will feature a different group of top-notch musicians and an awesome, home-style meal. If you want to be home for Easter, you can join the group for one week, returning April 17. 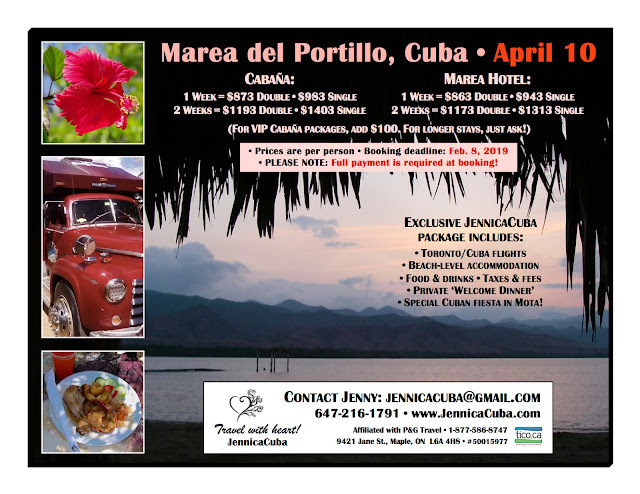 Or, if you would like to experience Easter in Cuba, book for two weeks and return on April 24. For anyone interested in going to a local church for Easter Sunday, I can assist with arrangements. 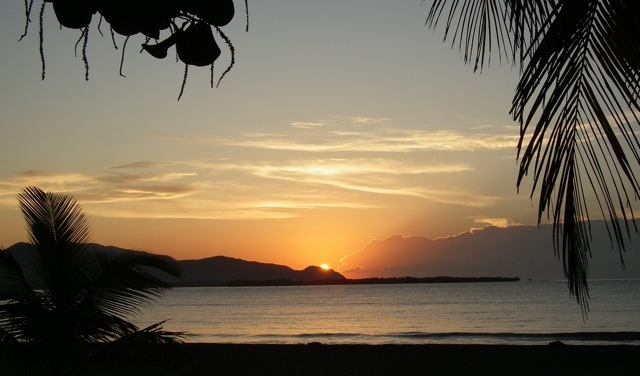 For those familiar with the Club Amigo Marea del Portillo resort complex, the Farallón del Caribe hotel will be open only during the first week; at present, it is scheduled to close for the season on April 17. Even though our accommodation will be in the beach-level Marea section (hotel or cabañas), you'll be able to go "up the hill" to dine at the Farallón, see the evening show and use the pool or other facilities as long as it remains open. Please note that, since the booking deadline is so close to our departure date, you will be required to pay the full amount for your trip instead of just a deposit. As always, the first 10 people to request Sunwing insurance will be able to take advantage of their low prices for cancellation and medical insurance packages. This insurance, however, must be paid for upon booking. If you want to take a second checked bag or a bike, these items must also be paid for at booking (but they can be cancelled later, if you change your mind). New departure date for April Cuba trip!